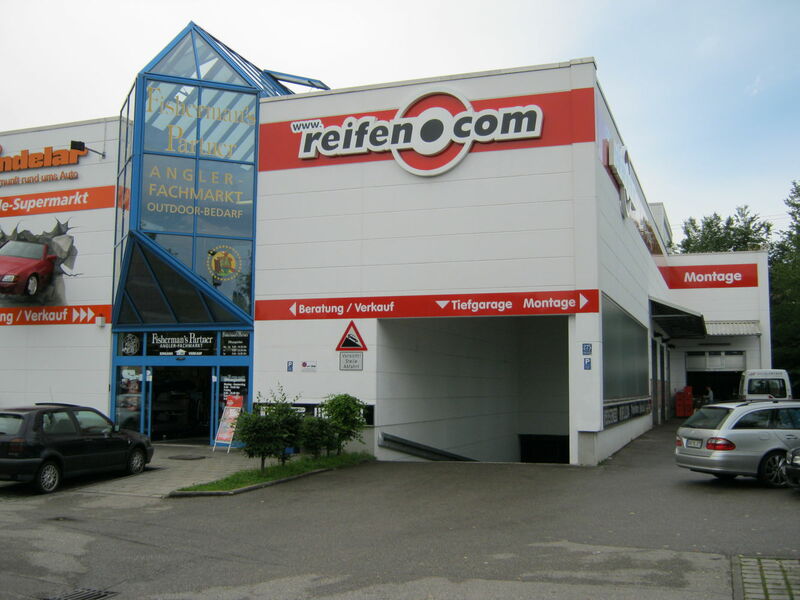 The reifen.com branch in Munich-Aubing can already look back to an anniversary; after all we have been at this place for over ten years now. Two salespersons are available for a competent consultation in our sales rooms in case of questions and wishes. Here you also find our rim exhibition in which we present 80 rims to you. For the fitting of rims and tyres we exclusively employ trained staff who constantly undergo further training and are trained internally. Three fitters, each of them with training as a motor mechanic or vulcanizer, are employed on a regular basis at our place. During the peak season we use up to four further fitters to keep the waiting times for our customers as short as possible. Bodenseestraße is in Munich-Aubing and is also known as federal highway B2. Our branch is in close proximity to METRO and the subway station Munich-Freiham. If you pass the station, you are almost at our place. By the way, you do not need to worry about lacking parking spaces in our branch. We offer numerous parking possibilities as well as underground parking on our area. You can use this too, of course, if you only wish consultation first. Or you just make an appointment for the tyre fitting on your passenger car or motorcycle. We further have a branch at Ingolstädter Straße in Munich Milbertshofen Am Hart.